Original version of indie classic gets 3D visuals, new content. 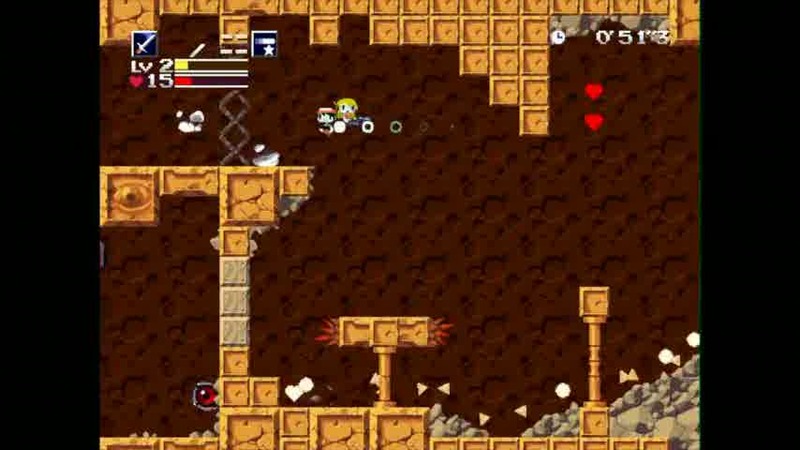 The recent Steam version of classic indie platformer Cave Story is coming to the 3DS' eShop, publisher Nicalis has revealed. As detailed in a Destructoid interview today, the download will include the new Wind Fortress stage from last November's PC release, as well as 3D visuals, touch screen menus, customisable controls, and support for both 4:3 and widescreen displays. According to producer Tyrone Rodriguez, it'll be out "in a month or so". A price hasn't been announced. Seeing as a new 3D remake of the game has already been released on Nintendo's system, and US gamers can pick up the original via DSiWare, you might wonder what the point of yet another re-release is. "To be totally honest, the update is entirely for selfish reasons," explained Rodriguez. "I don't like playing DSiWare games on the 3DS, and I especially don't like playing Cave Story DSiWare on my 3DS. Instead of being 16x16 pixels, the main character becomes 20x20 and the entire game is a bit blurry. "Daisuke made some beautiful pixel art and I want to play it the right way. In a month or so, you'll see what I mean." Fair enough, not that anyone should need an excuse to jump back into Daisuke Amaya's charming side-scroller. "If this game had been released on the NES 20 years ago, it would be recalled by a generation of players as a high point of the 8-bit era," read Eurogamer's 9/10 Cave Story review. "The fact that console gamers are only getting their first crack at Cave Story in 2010 doesn't make the experience any less memorable." If you do own the DSiWare version, this will not be a free update - you'll have to buy the new version separately. "I fought really hard to try to get it to be just a 'simple' update; I feel that Nintendo wanted the same thing too, but the logistics behind it are pretty huge," explained Rodriguez. "The good thing is that if you already bought the DSiWare version on your 3DS and ever delete it, you'll still be able to download it. The update won't stop you from playing the prior version of the game."